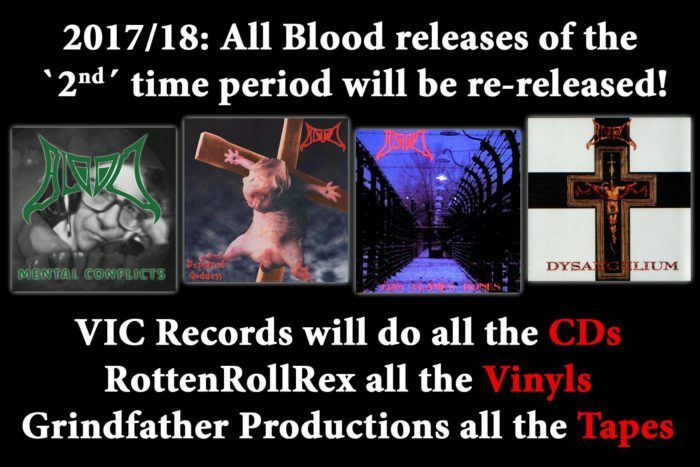 German grindcore gods Blood will be repressing their later albums in all the mainstream metal formats through various labels. The first two of these, Metal Conflicts and Depraved Goddess, are the most worthwhile. If they start to repress their early albums, interested people should rush to get one while they still have a chance! you can still get an original copy of O Agios Pethane for $18 on discogs. a German label also did a repress last year. Christbait got a reissue 2 years ago and is very easy to find. i wouldn’t mind seeing a CD reissue of Impulse To Destroy though.